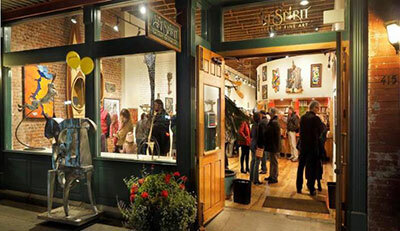 This Friday, April 14 night The Art Spirit Gallery at 415 Sherman in downtown Coeur d'Alene kicks off the Art Walk season with new work by 13 artists. There's a reception Friday from 5 to 8pm sponsored by The Coeur d'Alene Summer Theatre. Northern Quest's Pepsi Summer Concert Series has been announced and it is amazing. Willie Nelson with Kayce Musgraves, Sammy Haggar, Alice Cooper, Keith Urban, Toby Keith, Boz Skaggs and Michael McDonald, Donnie and Marie, Hank Williams Jr. and more. Go to northernquest.com for the complete schedule and tickets. The artist and musicians of Terrain and the Spokane Symphony are hard at work rehearsing Uncharted! The Four Seasons Reimagined, the third annual installment of a collaborative venture. This unique version of Vivaldi's classic will be held in Terrain's home space on the ground floor of the Washington Cracker Co., 304 W Pacific Ave., this Friday, April 14 and again on Saturday, April 15. Both performances start at 8pm, doors open at 6:30. Uncharted! is an innovative and original performance featuring the work of several local artists and musical collaborations between Symphony musicians and variety of Spokane area bands. The event will feature a unique take on Vivaldi's The Four Seasons. Fifteen musicians of the Spokane Symphony will perform under the direction of concertmaster and violin soloist Mateusz Wolski. Tickets are available at the Box Office of Martin Woldson Theater at The Fox, or by calling 509-624-1200. Tickets may also be purchased at www.spokanesymphony.org or at all TicketsWest outlets. It's almost time for Custer's Annual Antique and Collectors Sale, Friday through Sunday, April 21-23 at the Spokane Fair and Expo Center. This year's show features over 150 dealers from across the west coast. Everything from rare to retro, including Mid-Century, Industrial, Rustic, Estate and Costume Jewelry, Vintage Clothing, Kitchenware, Folk Art, Glassware, Silver and more. 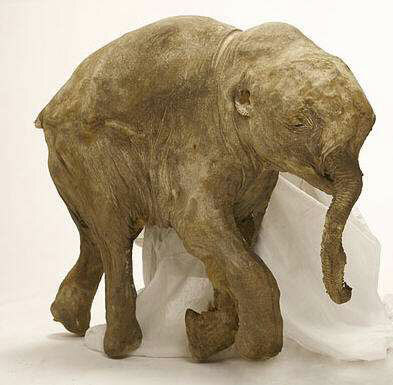 Titans of the Ice Age, is an exciting exhibit currently at the Northwest Museum of Arts & Culture in Browne's Addition, and on Thursday, April 20, there will be a special guest lecturer, speaking on 'Adventures with a Baby Mammoth'. In 2007, the well-preserved body of a baby woolly mammoth was found in northwestern Siberia, having been protected by the permafrost for more than 40,000 years. University of Michigan Professor of Paleontology, Dr. Daniel Fisher, guest curator for the Field Museum's traveling exhibition Titans of the Ice Age: Mammoths and Mastodons, was given the opportunity to study this remarkable find. In this program Dr. Fisher will tell the story of Lyuba the baby mammoth, and what he and his colleagues have learned about her life and the prehistoric time when she lived. Lecture will be in the Eric A. Johnston Auditorium, 2316 W First Ave, from 6:30-8pm, $$9, suggested donation. For more information on Titan's of the Ice Age, visit www.northwestmuseum.org. Dancing with Celebrities Coeur d'Alene style is a fun dance competition that is similar to television's popular show 'Dancing with the Stars.' The event is a fundraiser for the Coeur d'Alene Summer Theatre where favorite local celebrities and personalities are paired with professional choreographers to perform a short dance number in the style of their choice. Couples are judged for performance level while the audience votes for their favorite couple via dollars (in cash, check, or credit card). Kiki Miller - Owner of Kagey Company, Inc. This entertaining fundraiser will happen Saturday, May 6, 7pm at the Coeur d'Alene Casino. Tickets are $20. Tickets and early voting are available at www.cdasummertheatre.com or 208-660-2958. Magician David Blaine is performing Wednesday, June 7, 8pm at The Fox! Tickets are on sale now through Ticketswest at www.ticketswest.com or 800-325-SEAT. Prices range from $32.50 - $82.50 and VIP Packages are also available. For more information, visit spokaneentertainmentdistrict.com. spokaneentertainmentdistrict.com. This Saturday, April 15 at 7:30, Northern Quest welcomes Loverboy and Survivor. Don't miss it! For tickets, visit northernquest.com. Kim Russo, the Happy Medium appears at Northern Quest on Tuesday, April 18. Contact northernquest.com for tickets and information.